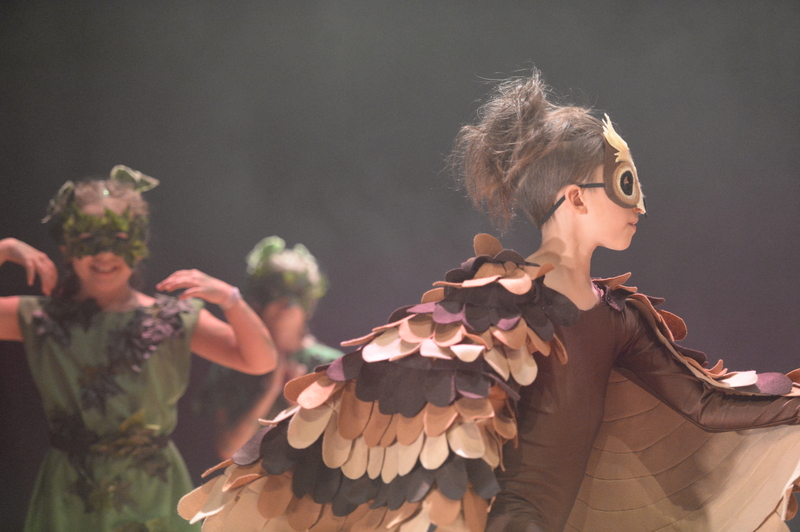 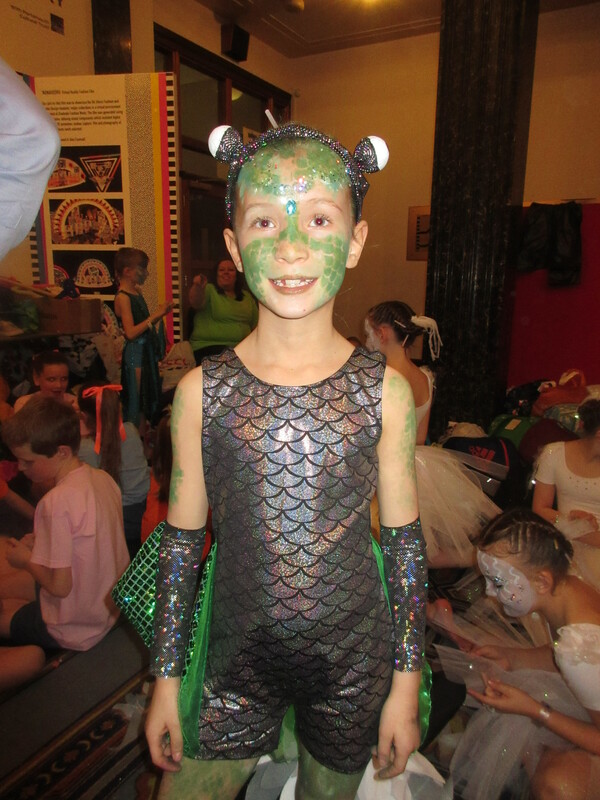 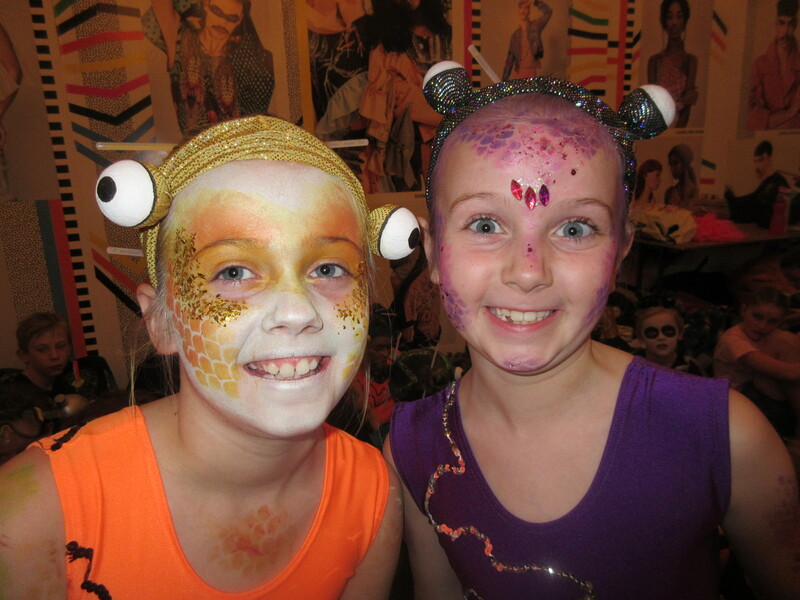 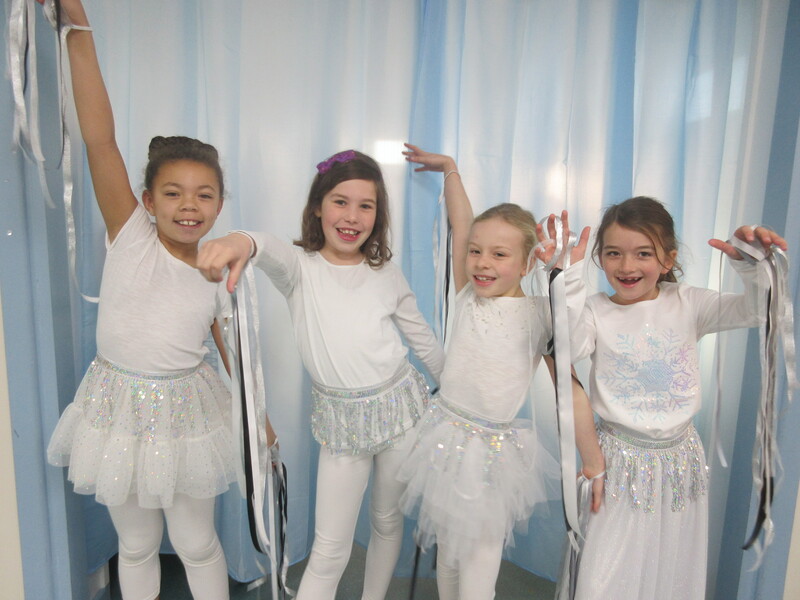 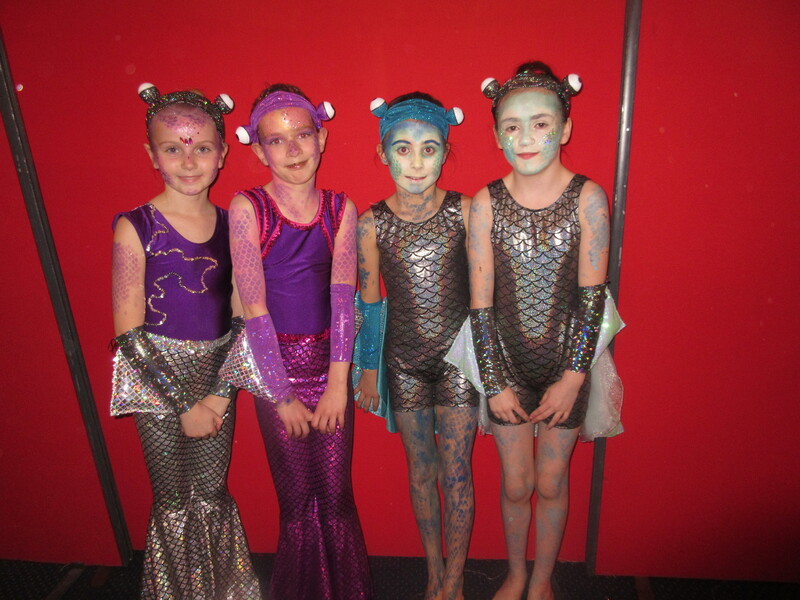 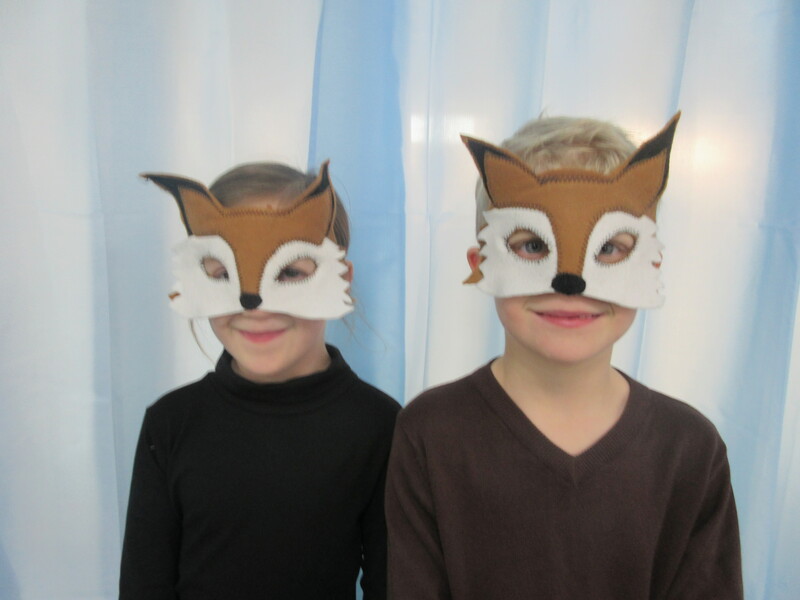 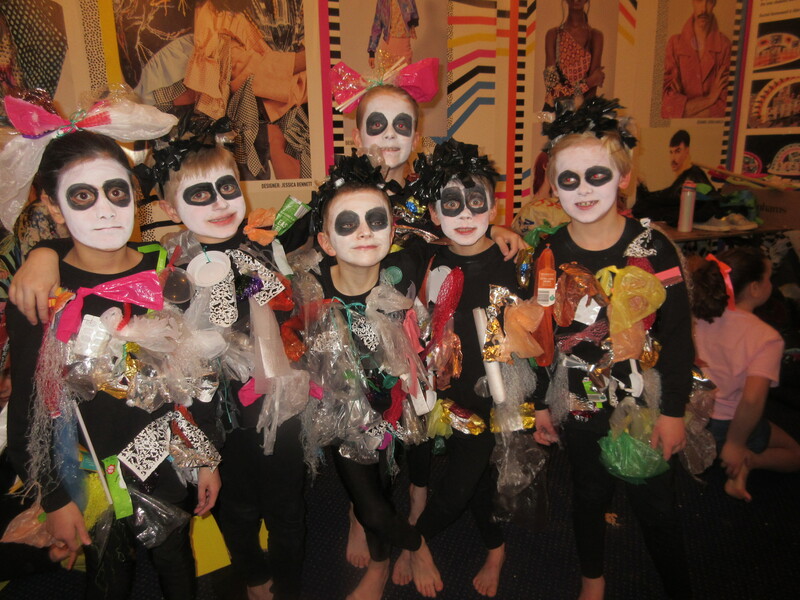 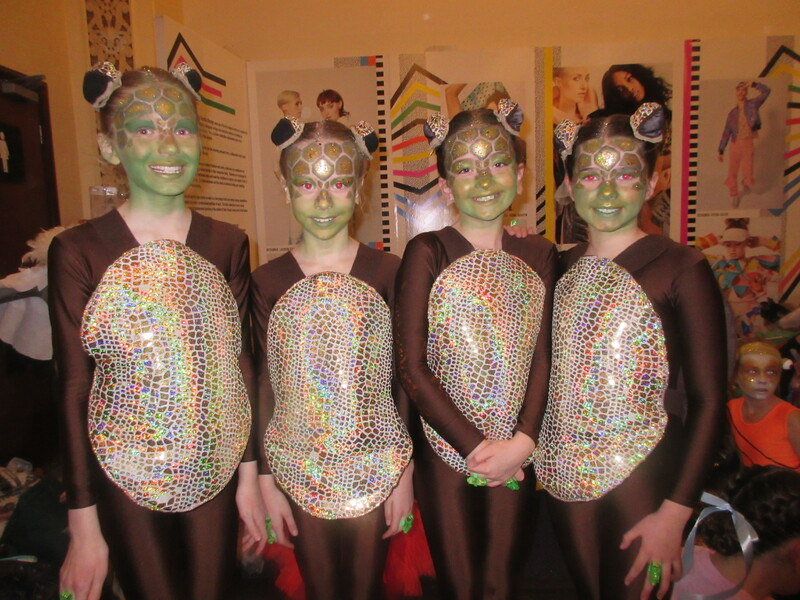 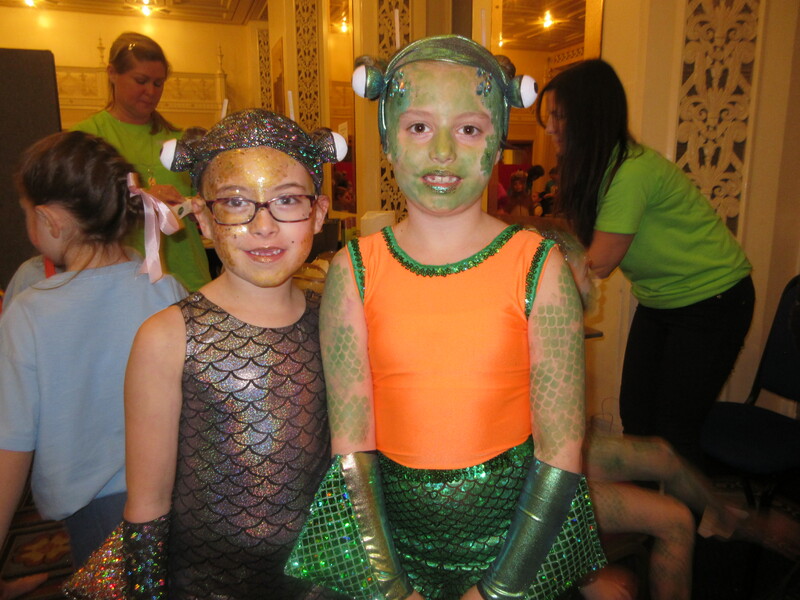 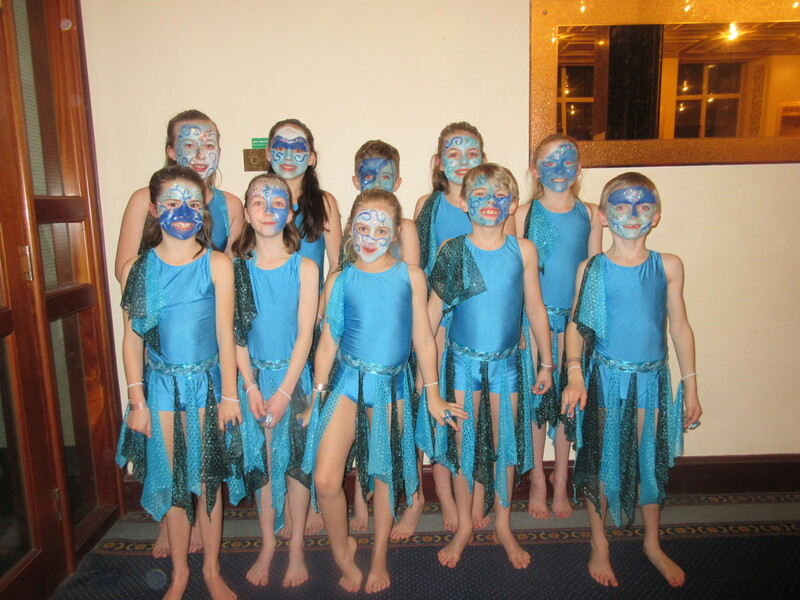 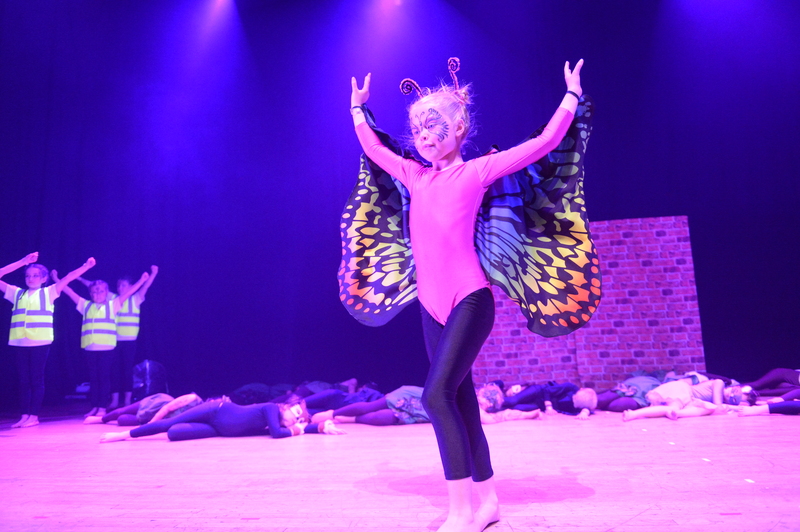 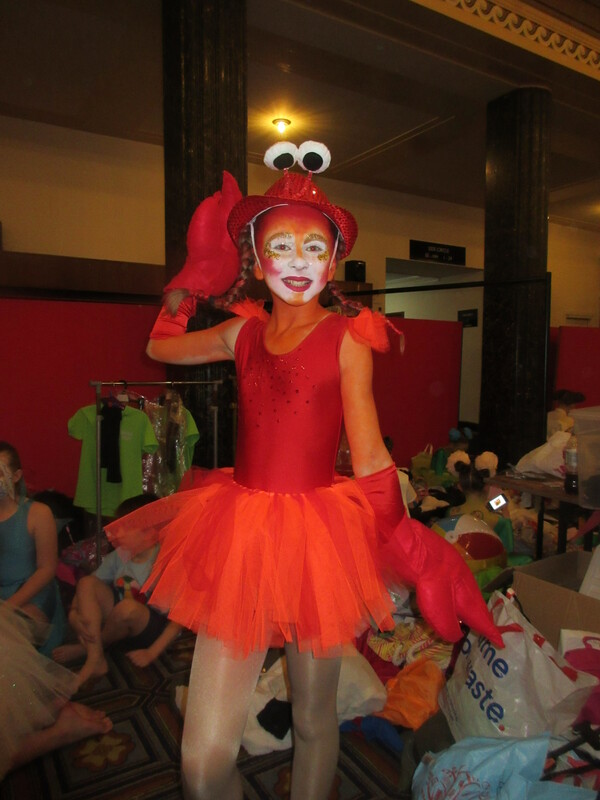 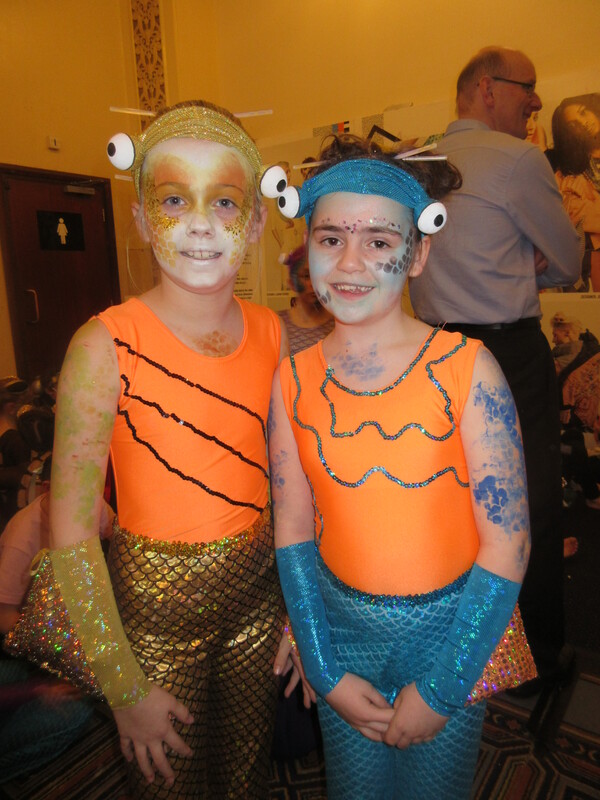 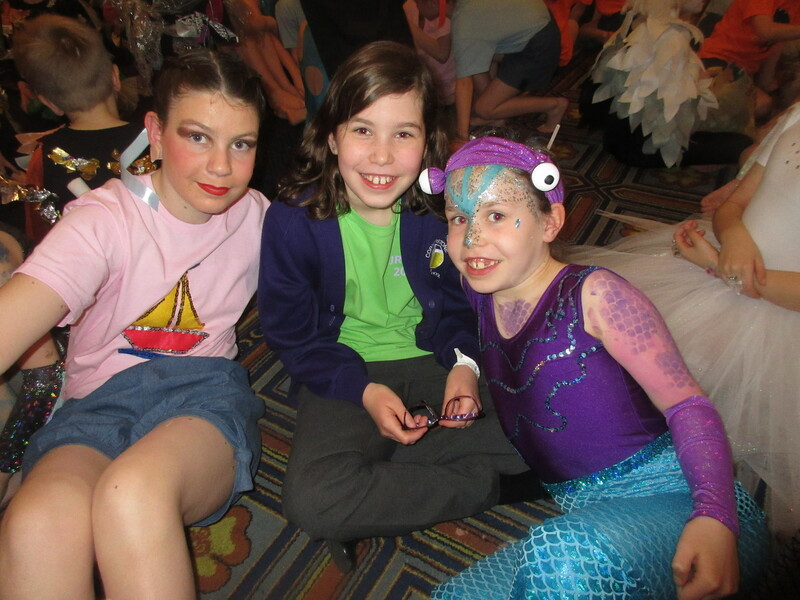 60 children from Years 3-6 took part in a stunning performance at the Portsmouth Guildhall in February. 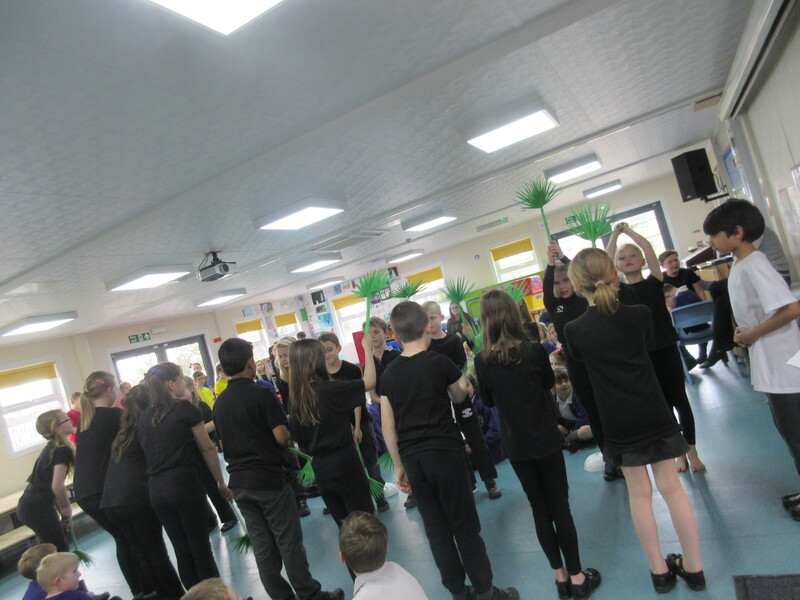 The theme was ‘plastic pollution’ and the performance encouraged the audience to think about the dangers and damage we are creating to the world’s oceans and seas. 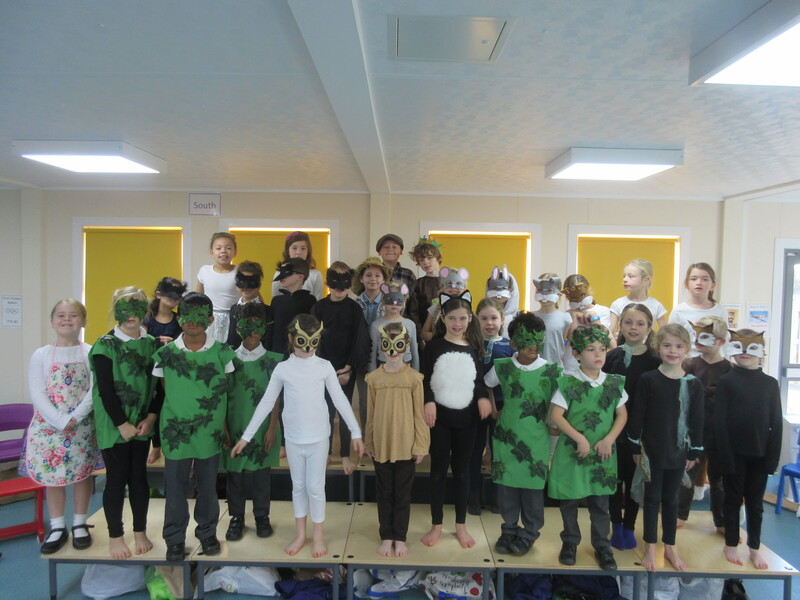 This year the school came second overall and won 10 awards: a fantastic achievement for the cast (and staff, parents and friends of the school) who had worked do hard. 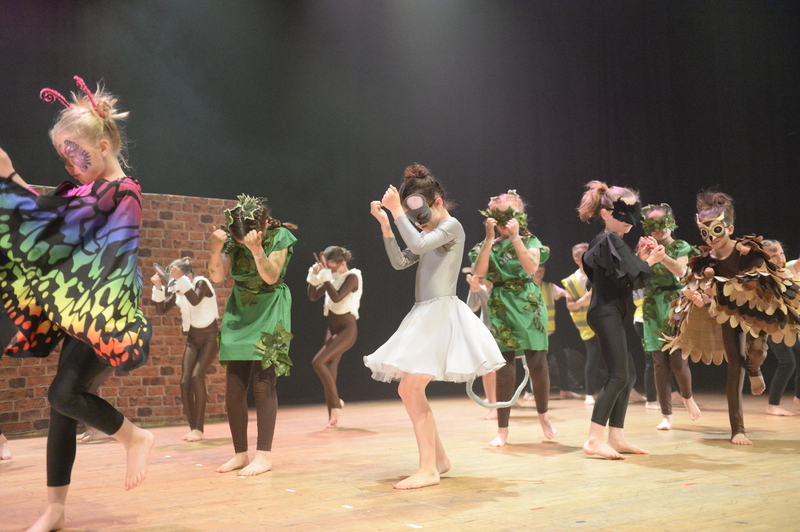 This included the prestigious award for choreography, which Miss Goddard thoroughly deserved. 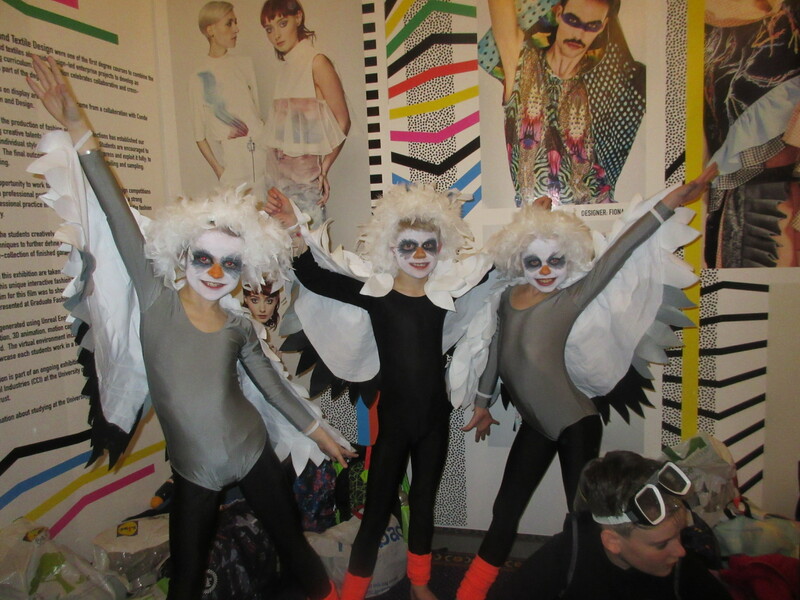 Below are some of the backstage photos of the cast: dressed, made up and ready to rock! 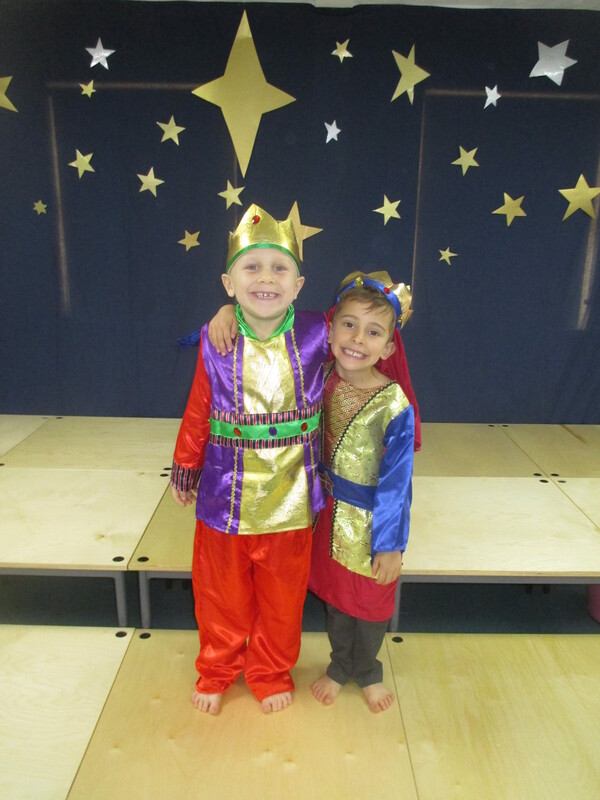 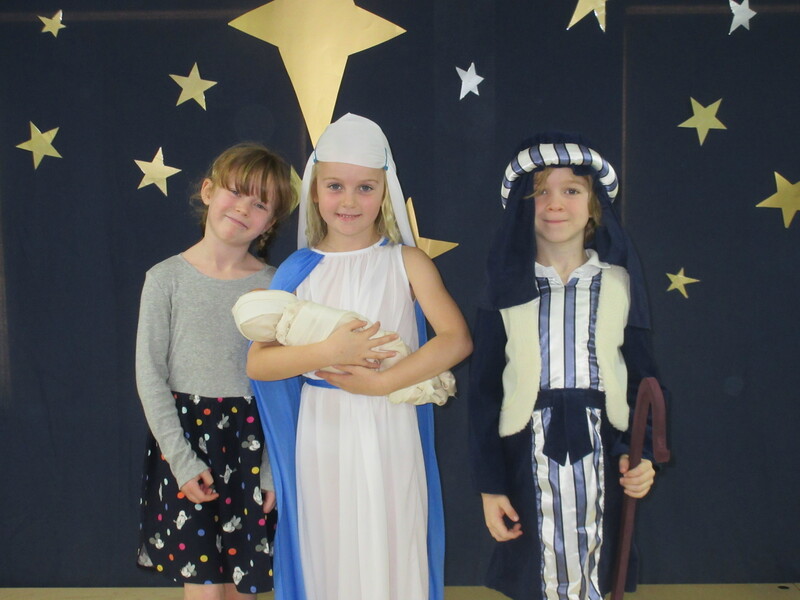 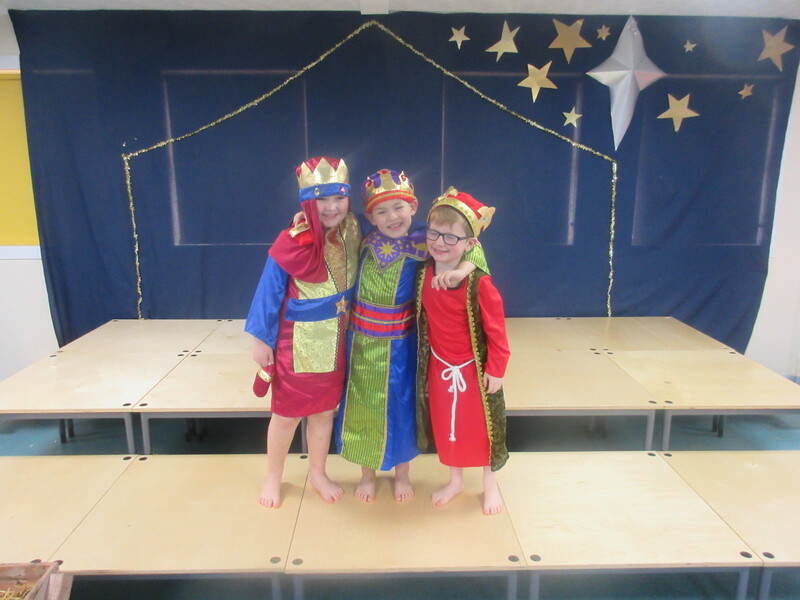 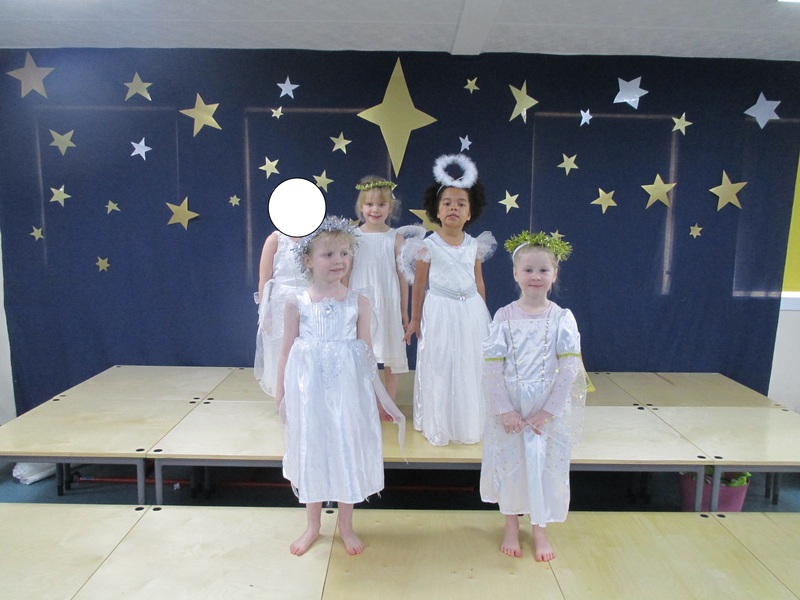 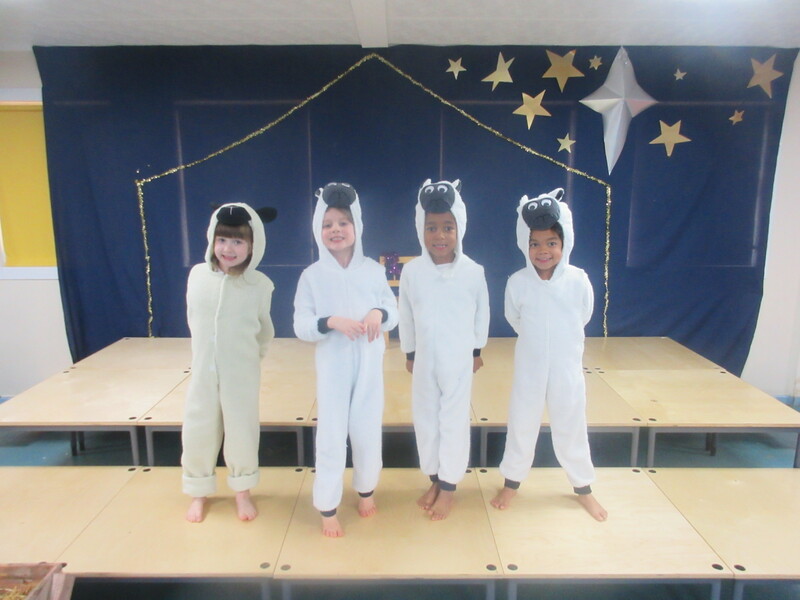 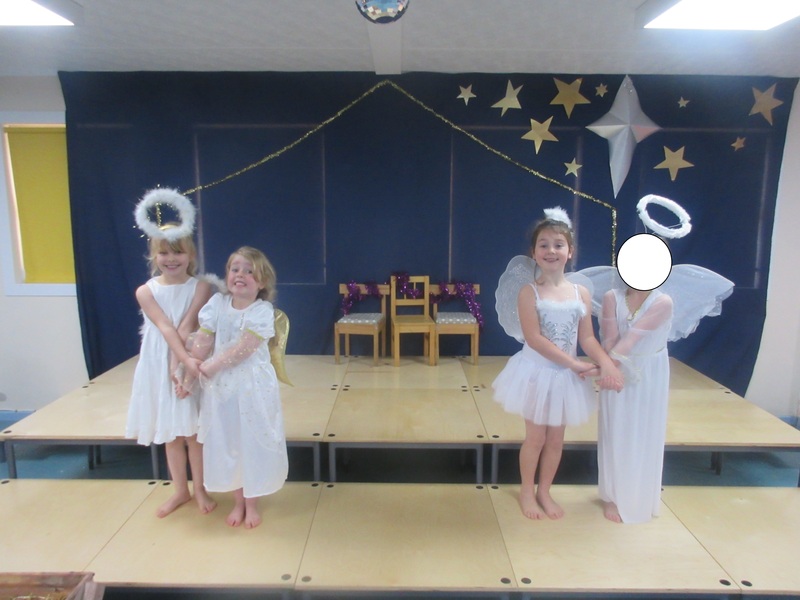 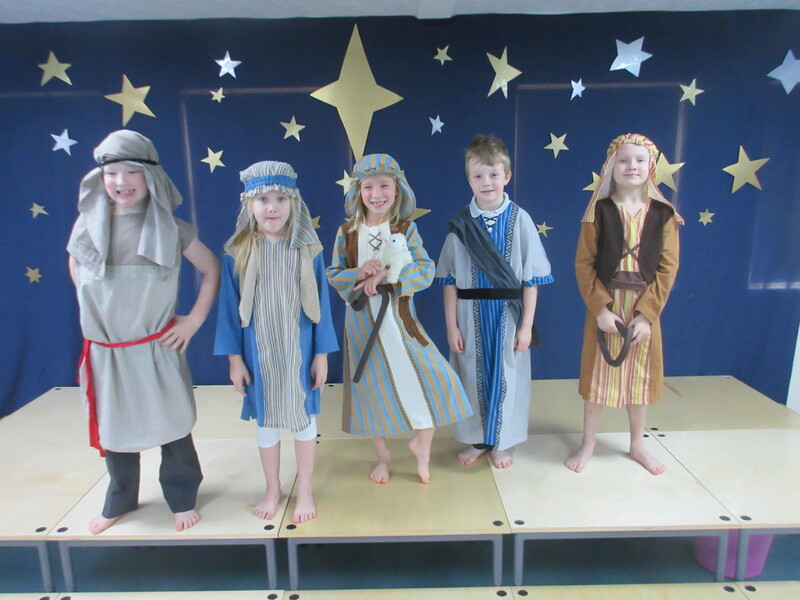 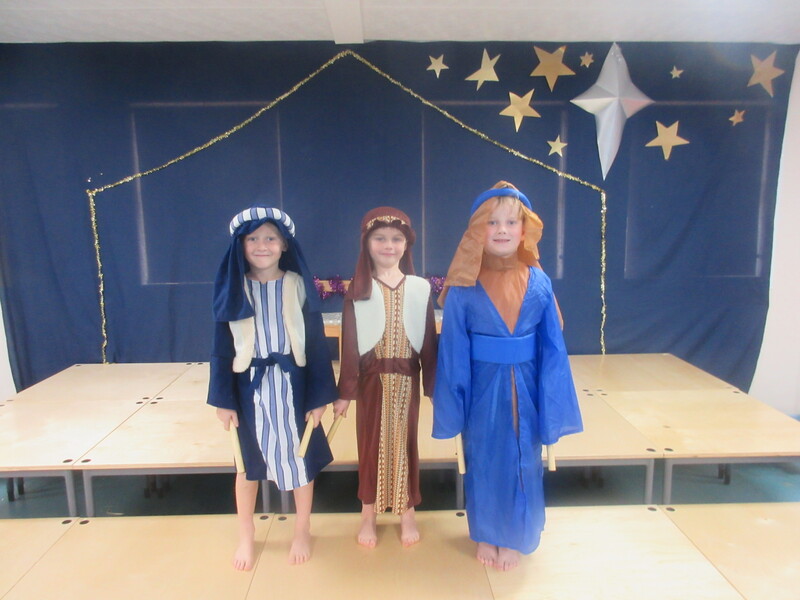 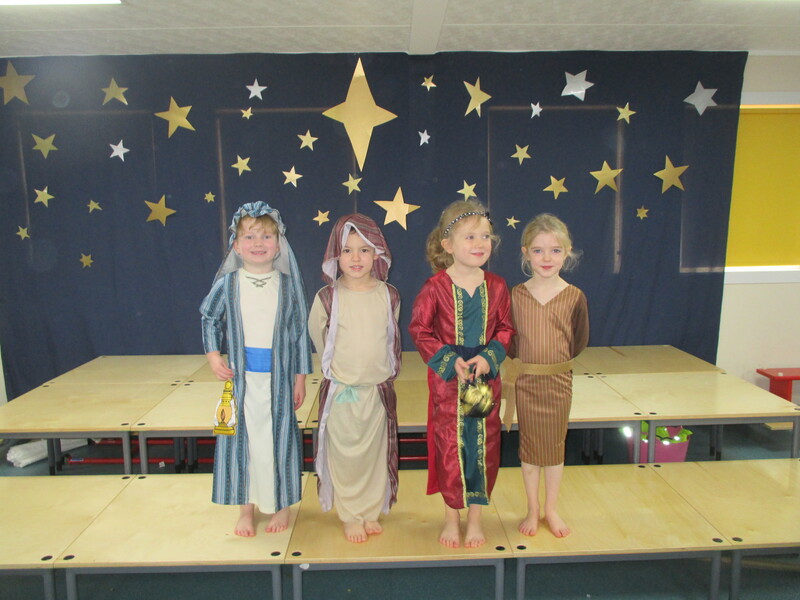 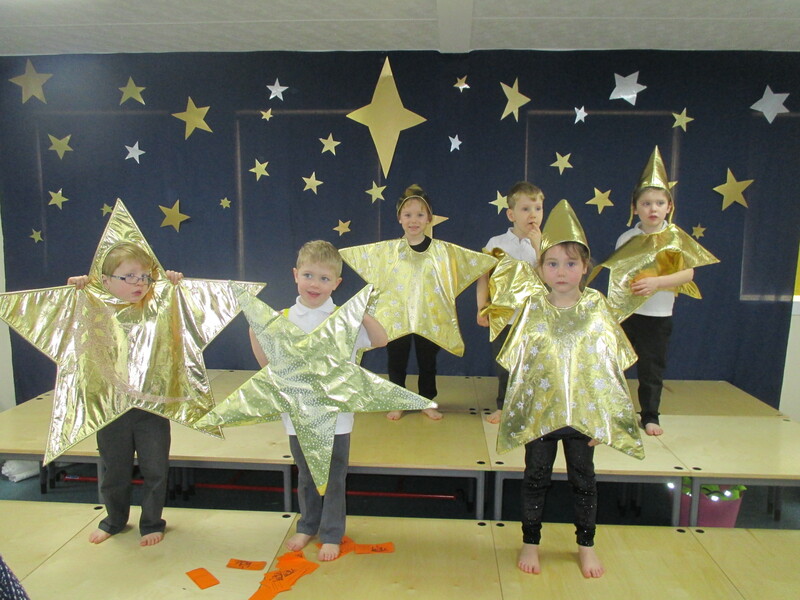 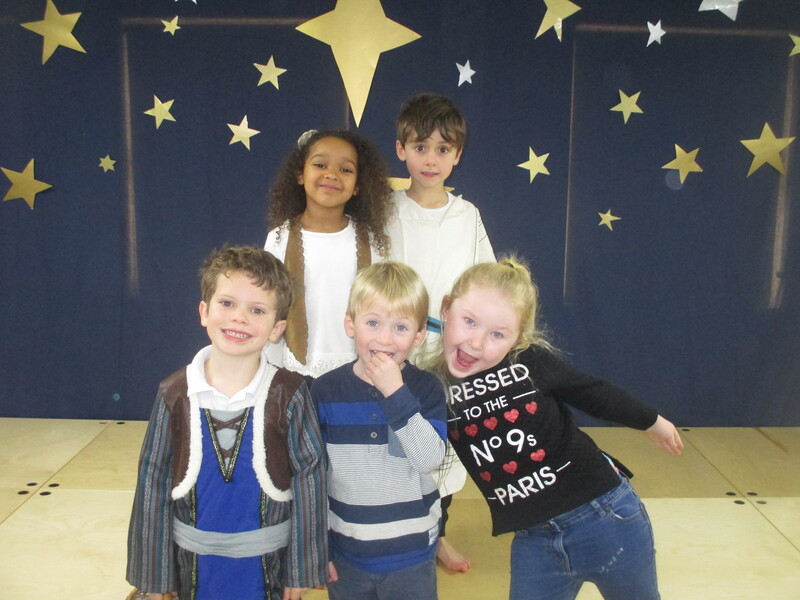 The children in Y1 and Y2 enjoyed rehearsing and performing this musical version of the Nativity together. 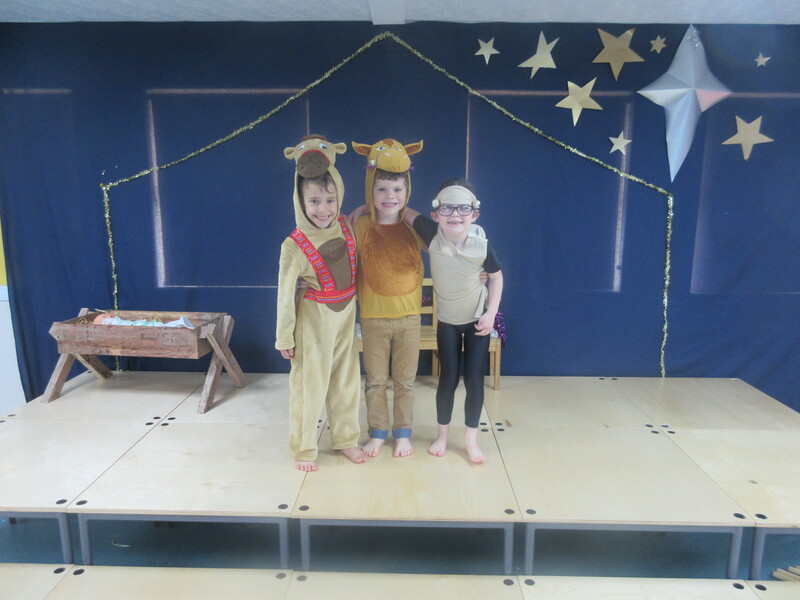 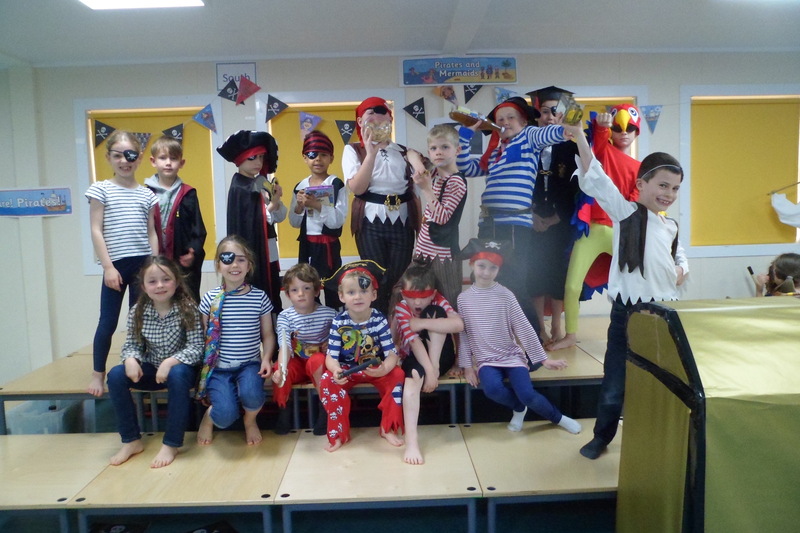 The acting, singing and dancing were wonderful and the audiences thoroughly enjoyed the performances. 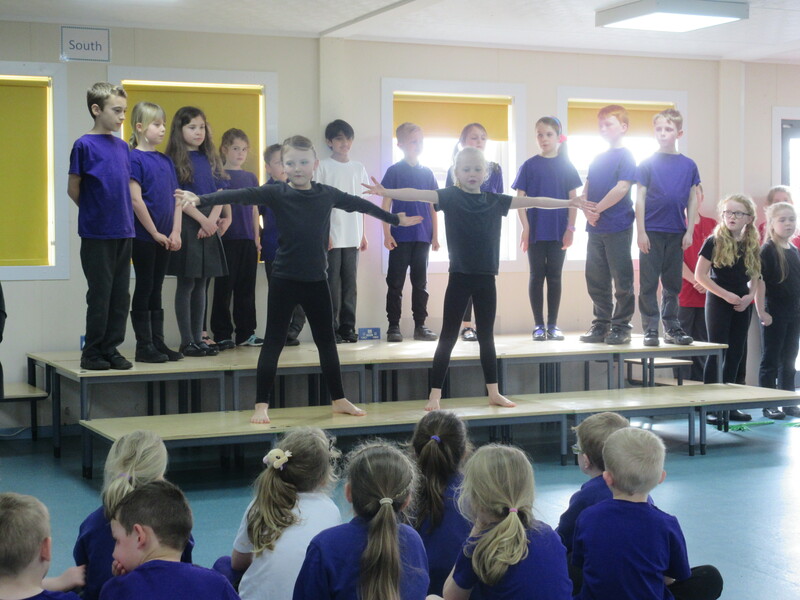 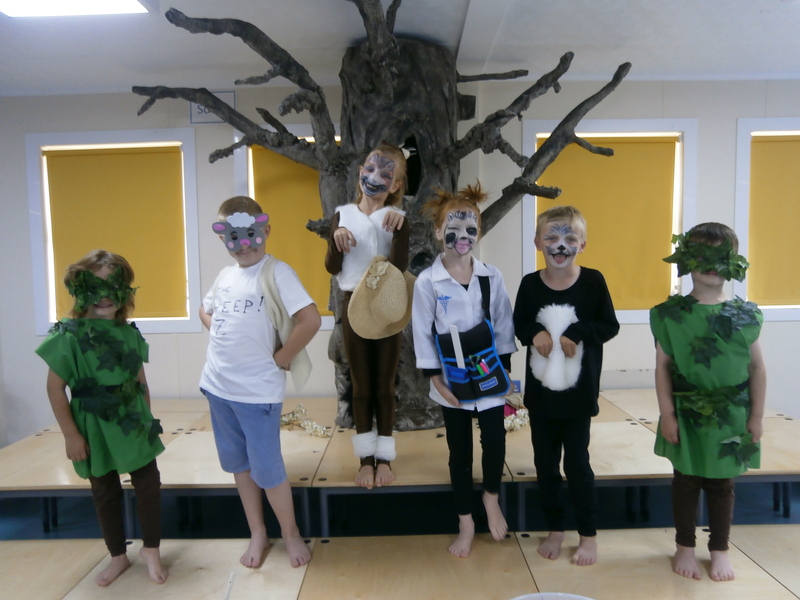 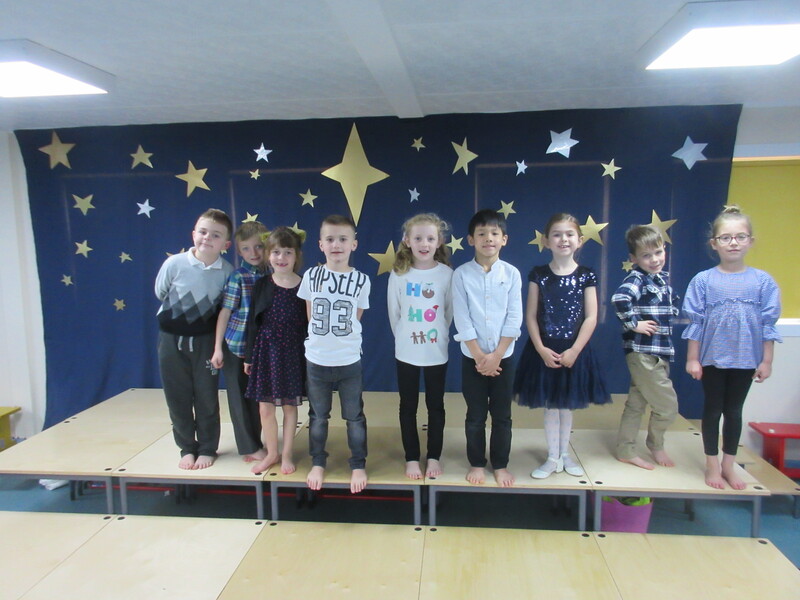 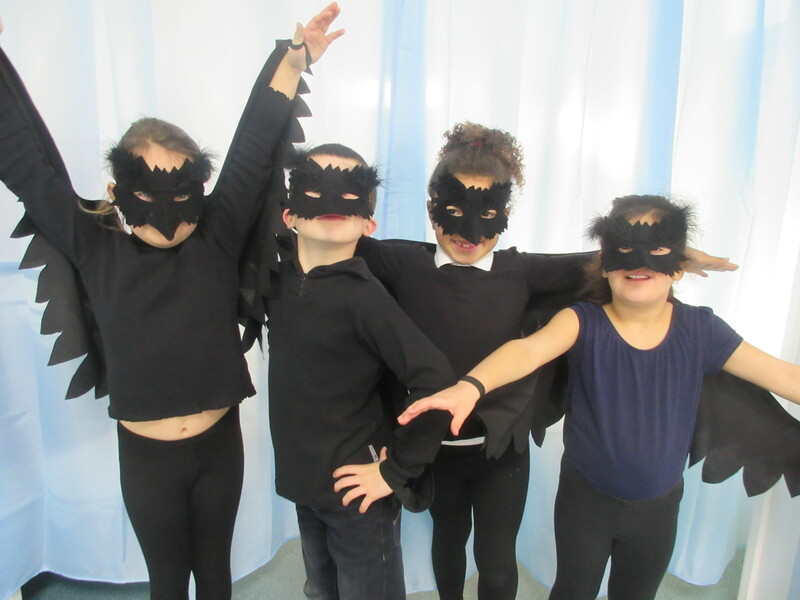 Some of the children from YR, Y1 and Y2 attended after school Performing Arts rehearsals in the summer term of 2018. 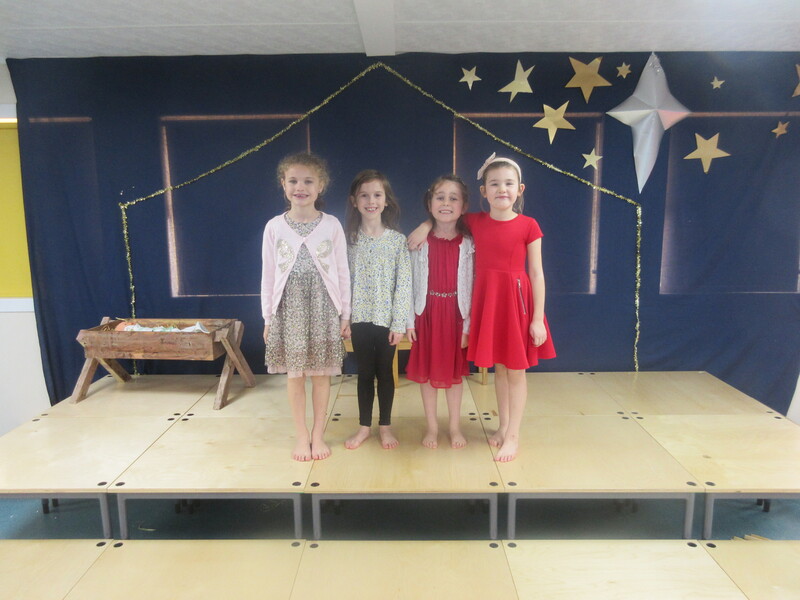 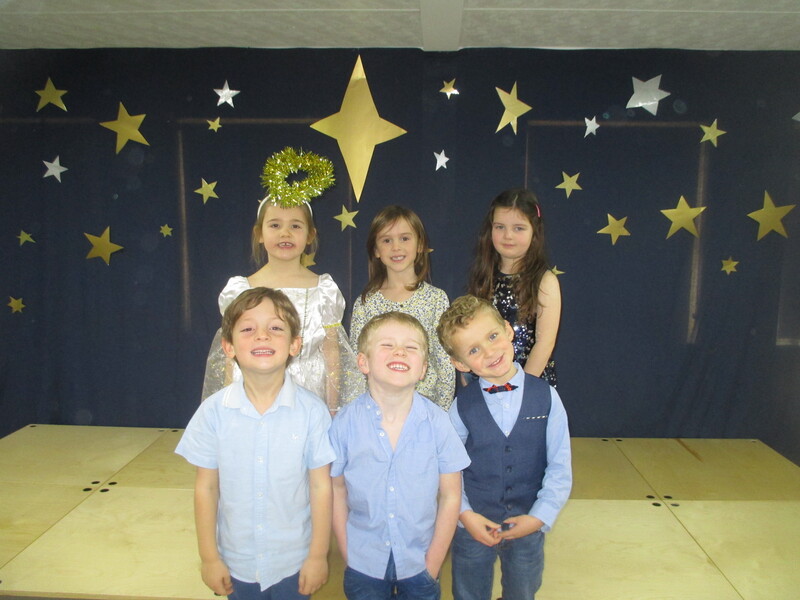 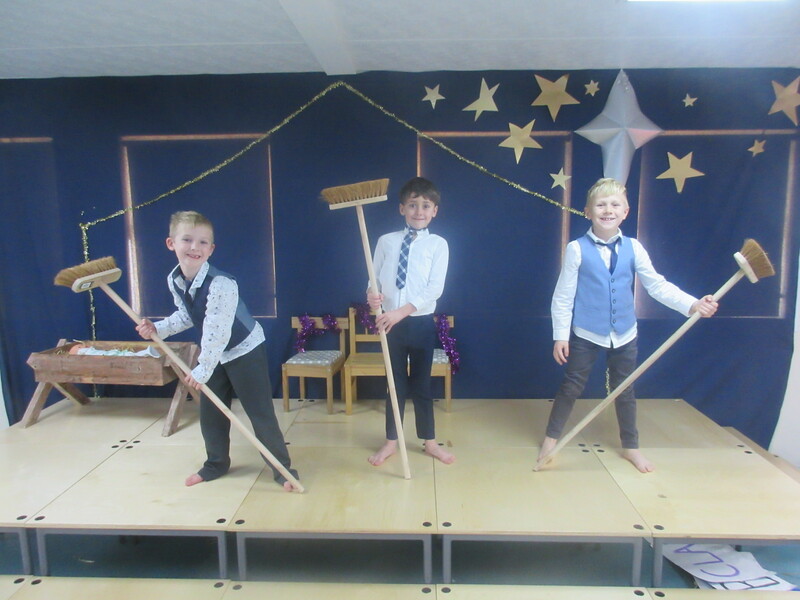 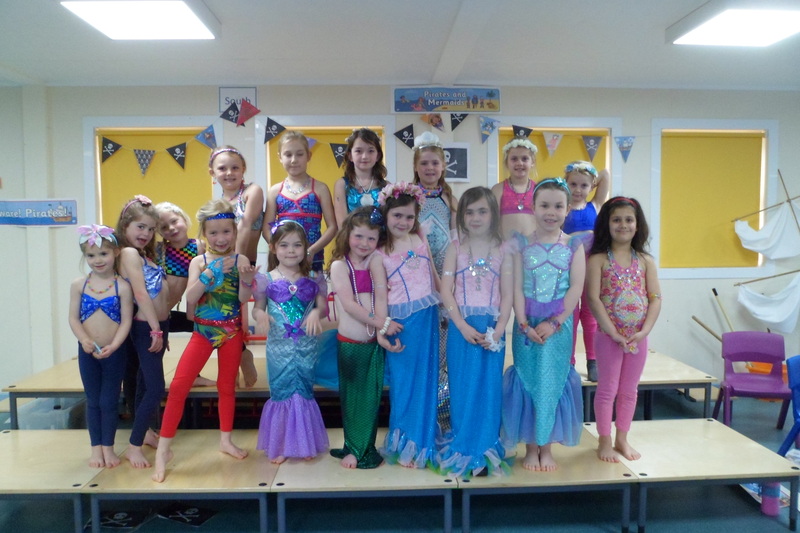 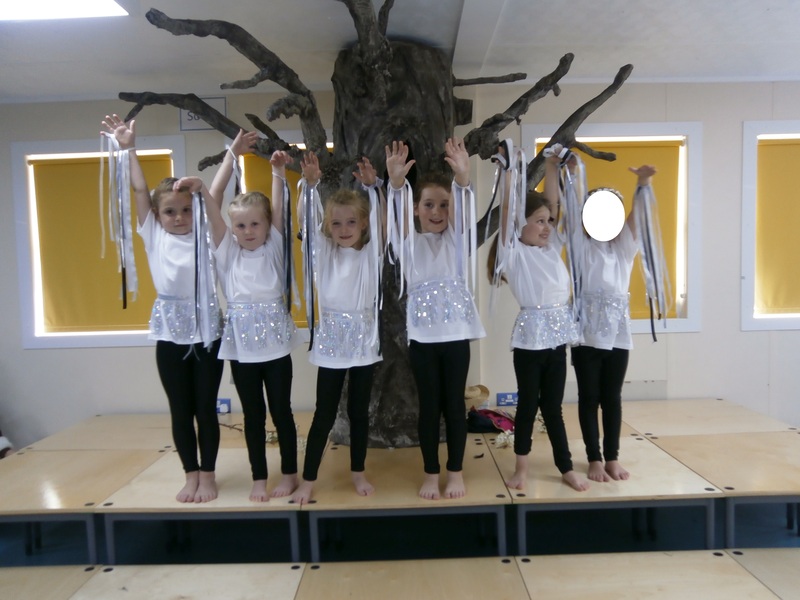 They then performed on three occasions to both the rest of the school and to their parents and families. 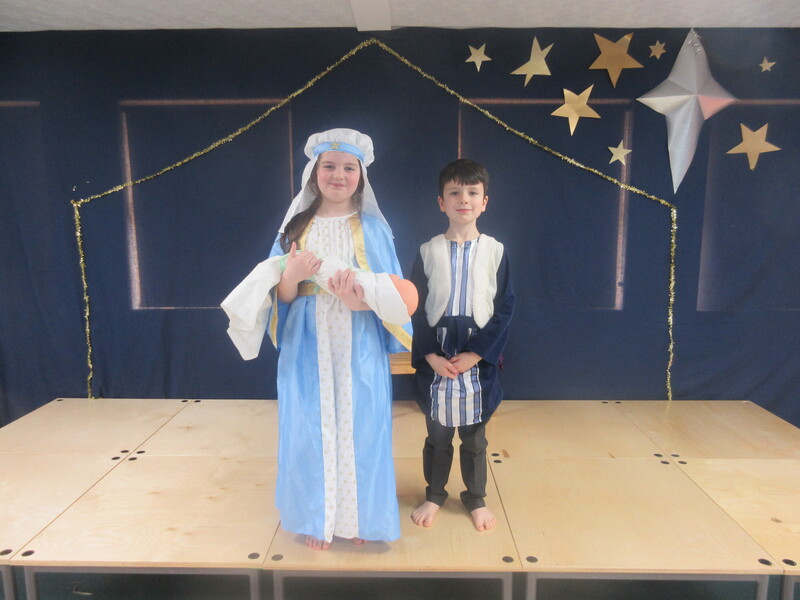 The acting, singing, dancing, costumes and make up were all very impressive. 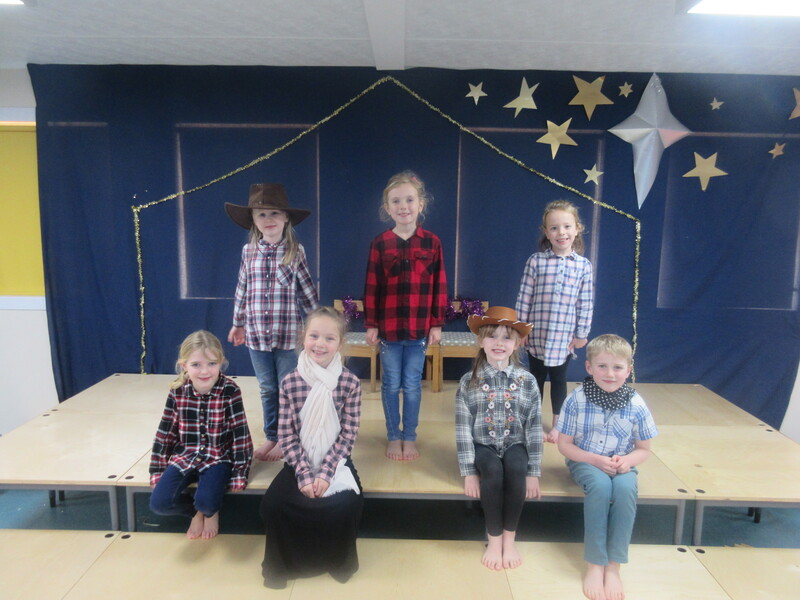 They told the story of a horse called Apple who found a hat, but had to learn which season it was best suited to. 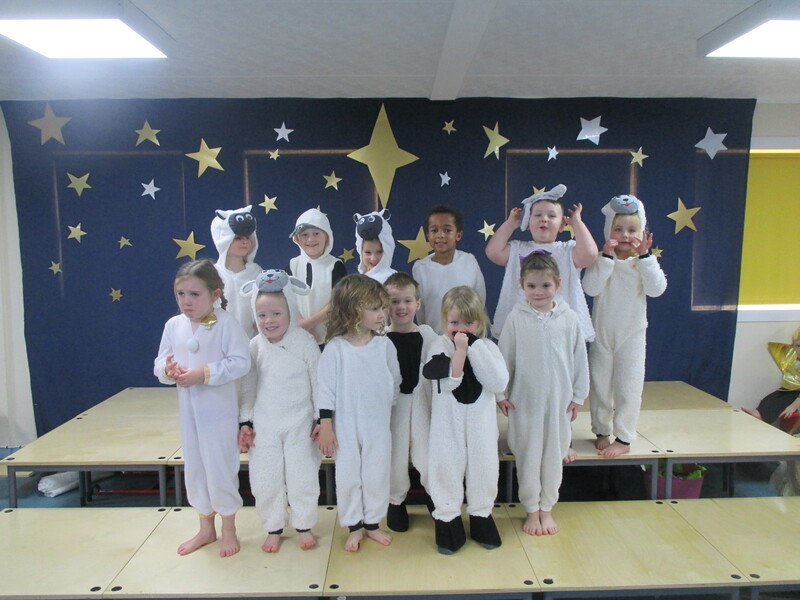 This involved listening to a lot of other animals on the farm. 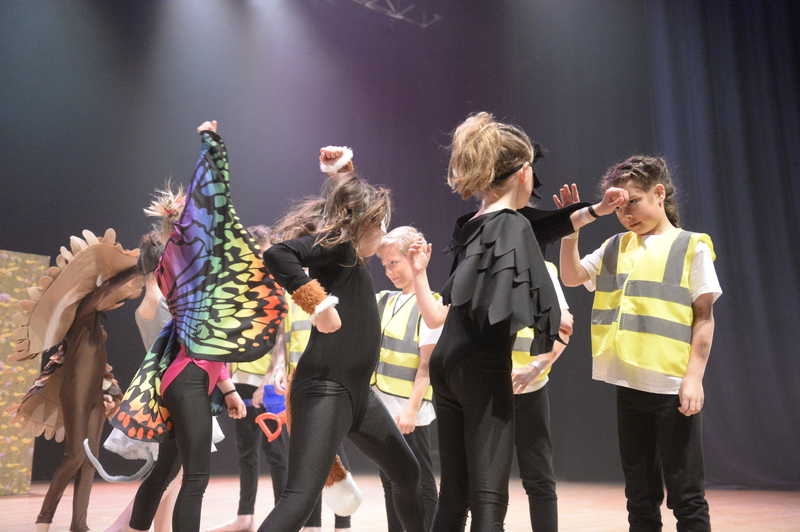 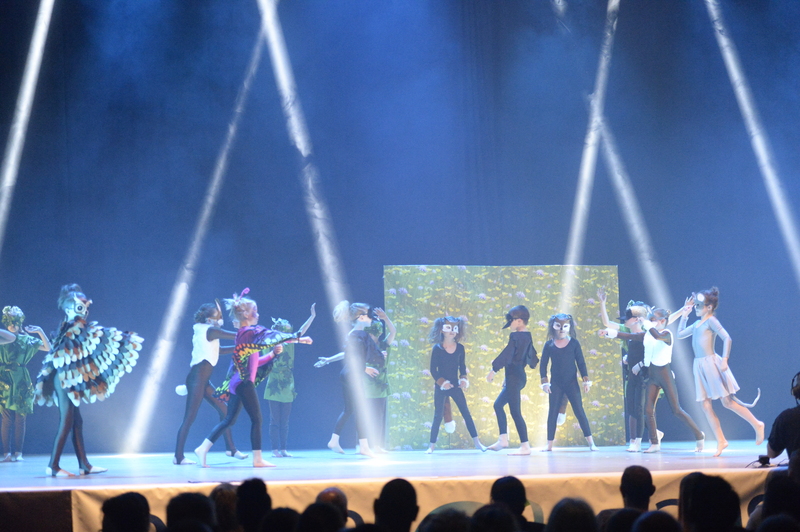 Children from Years 3-5 took part in this national competition and performed at the Portsmouth Guildhall in April 2018. 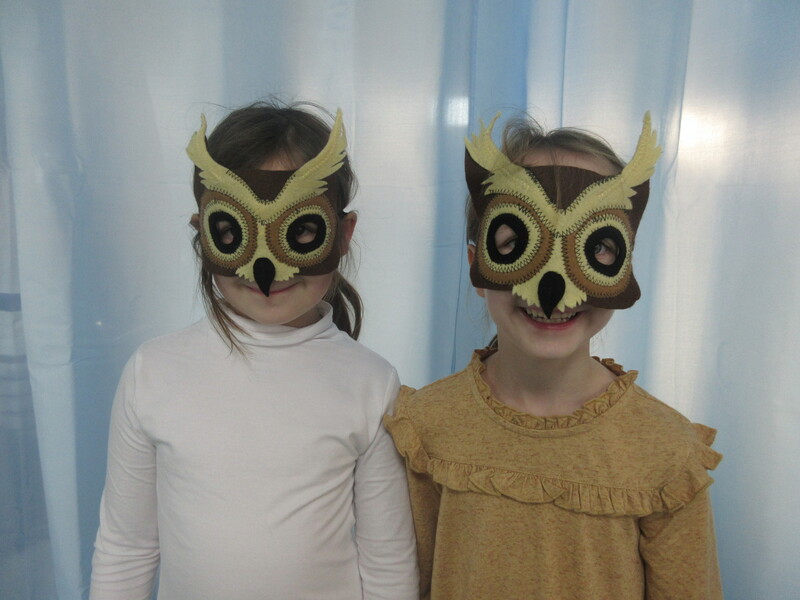 The school won awards for “Performance Skill” and “Soundtrack”. 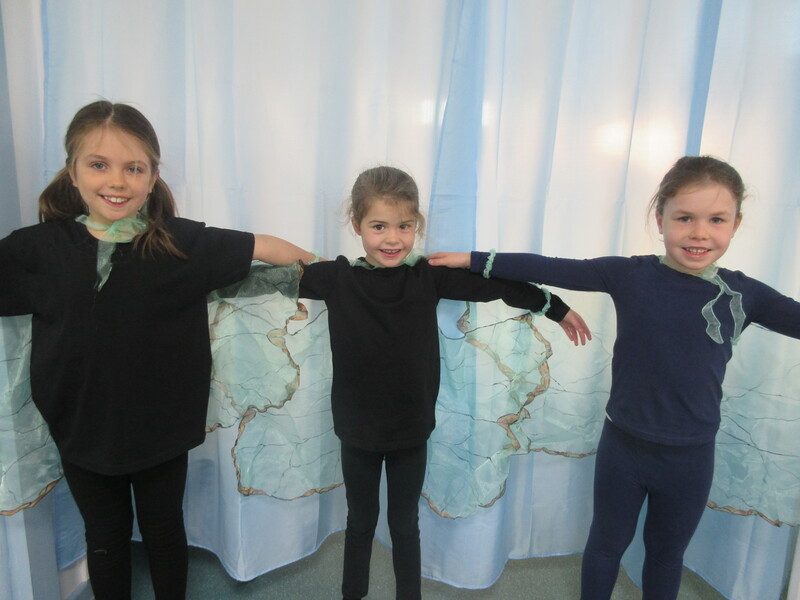 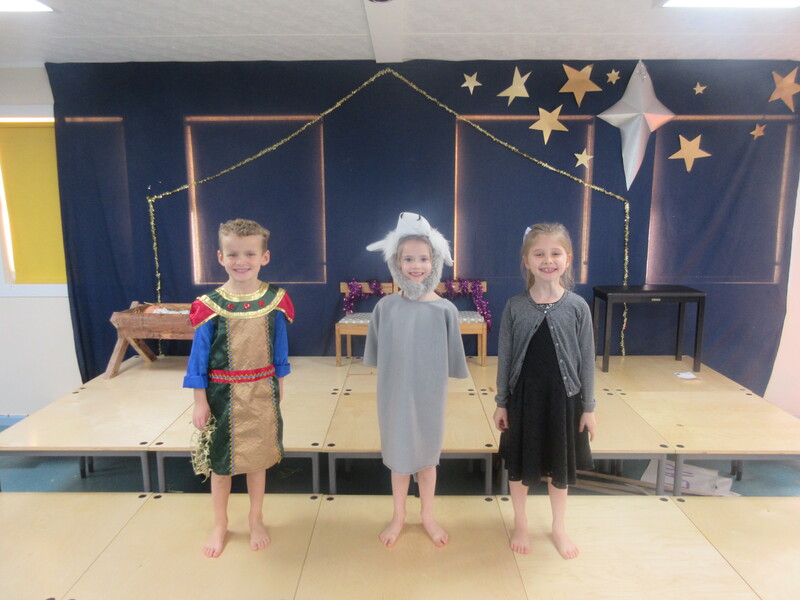 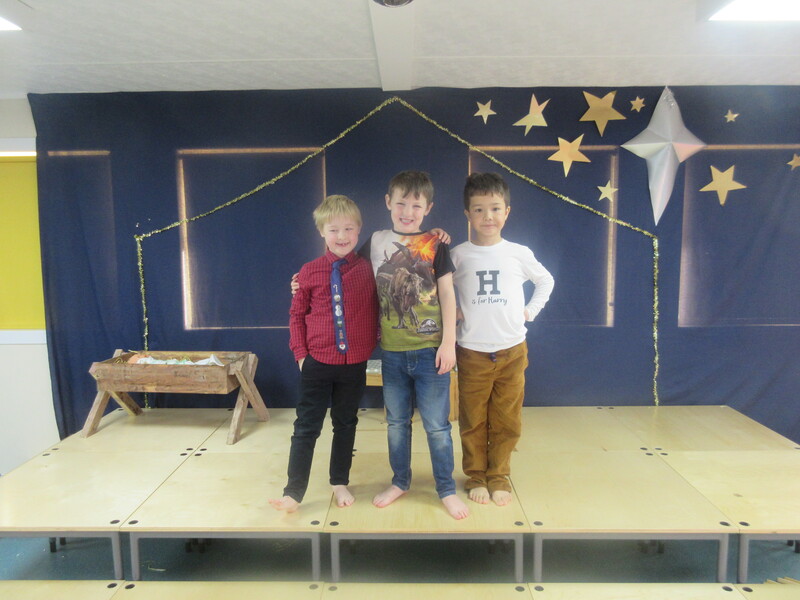 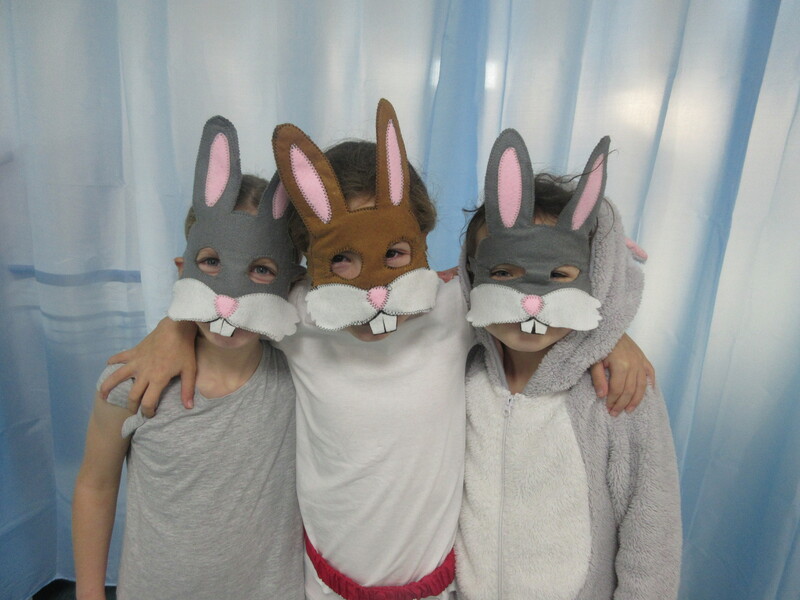 Years 3, 4 and 5 retold the story of the first Easter through acting, singing and dancing in March 2018. 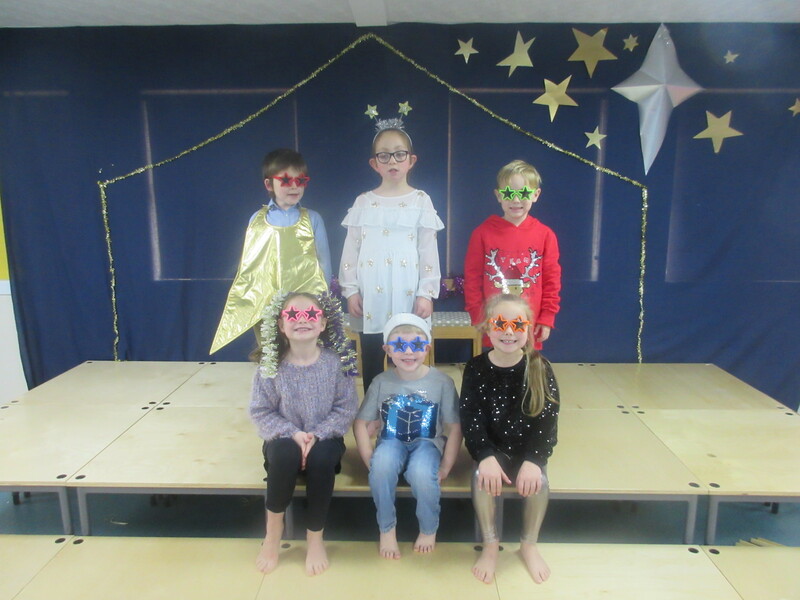 Years R, 1 and 2 performed this Christmas musical in December 2017. 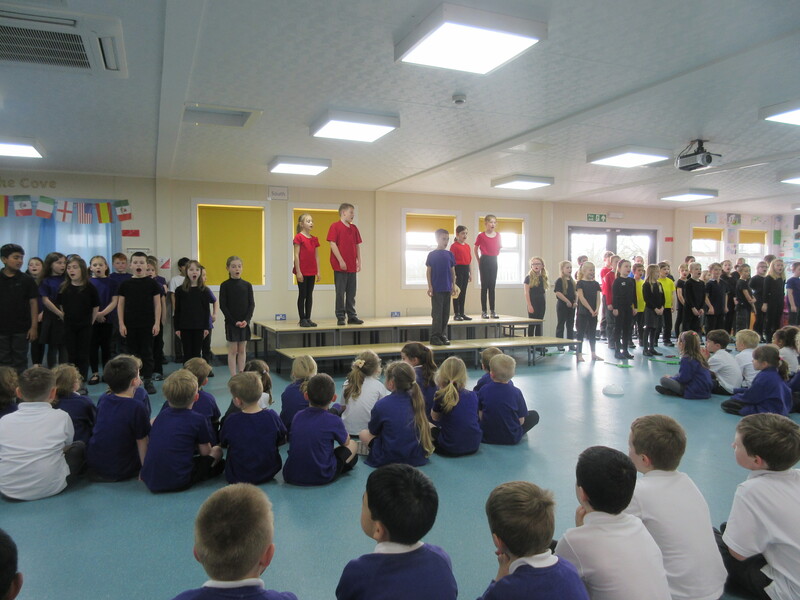 This show took place in April 2017 and was performed in the school hall. 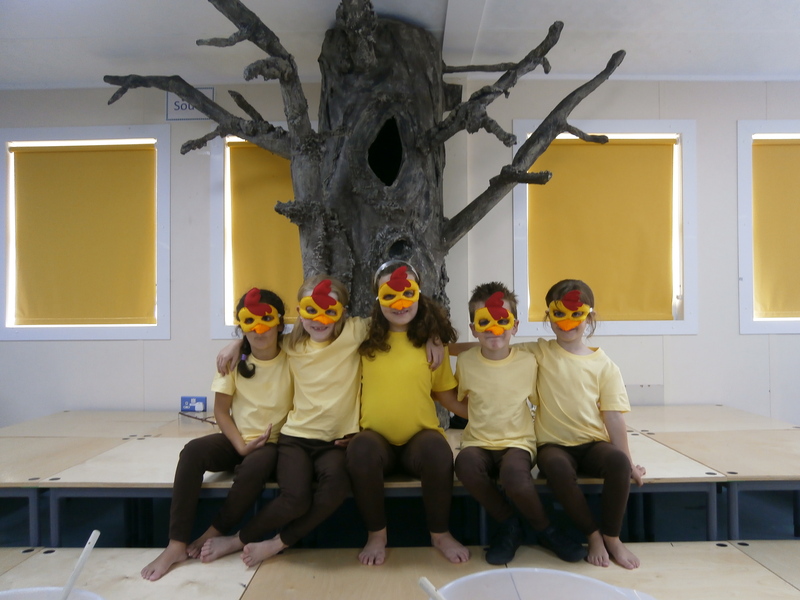 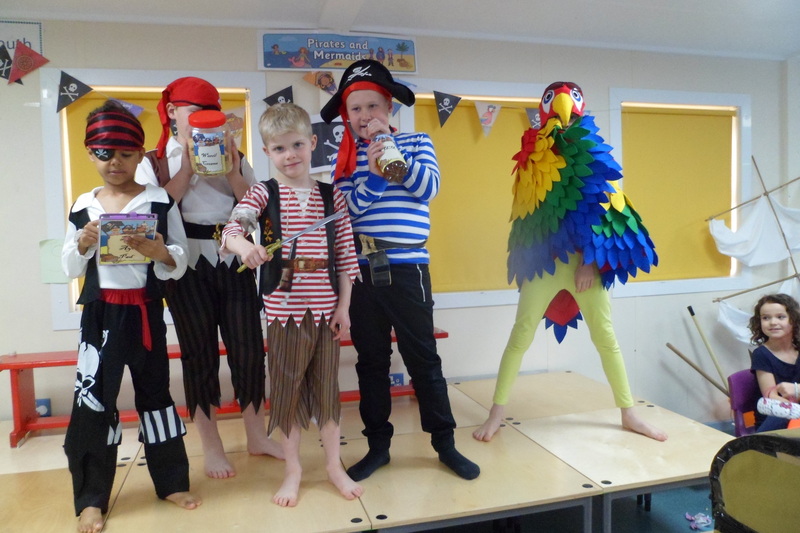 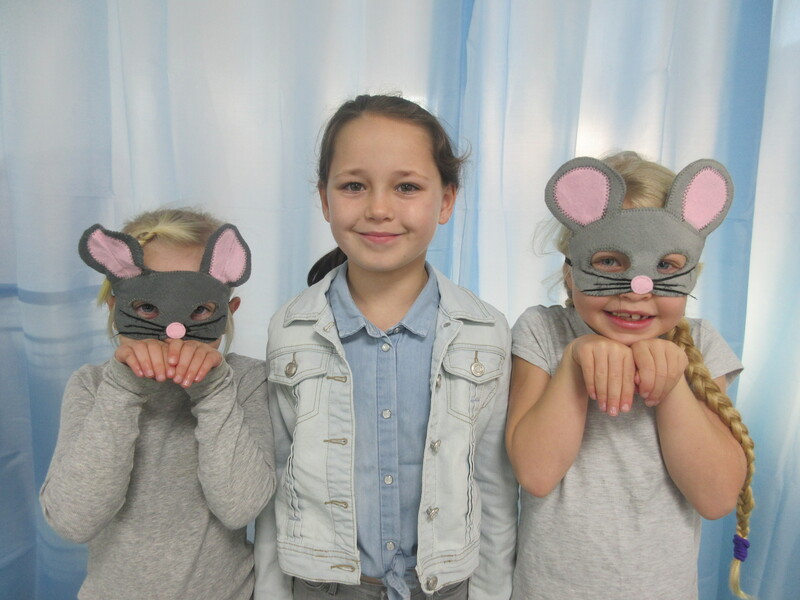 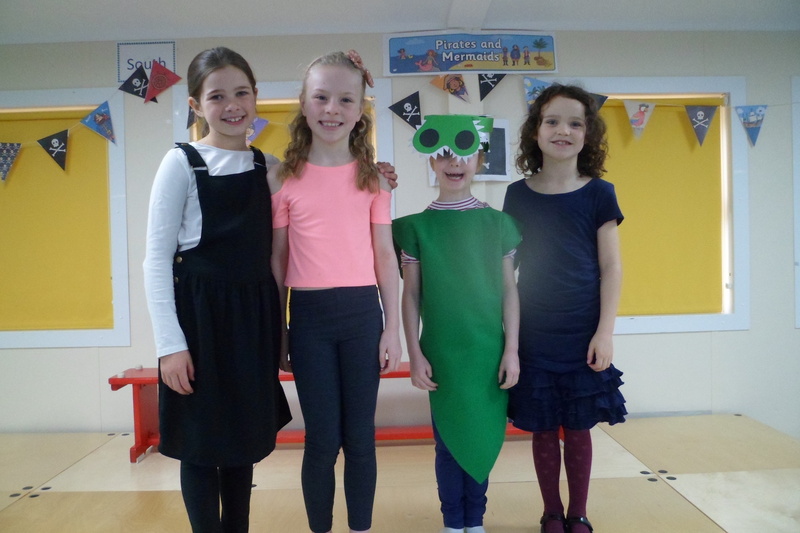 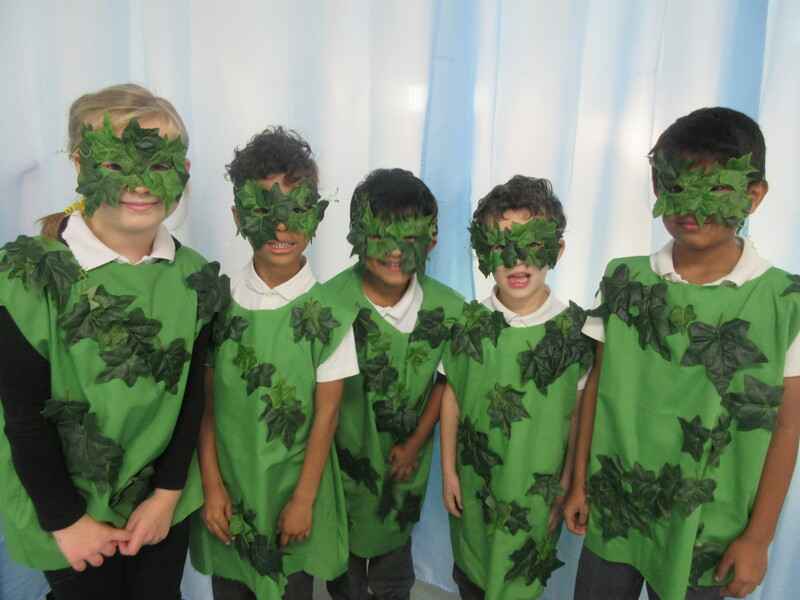 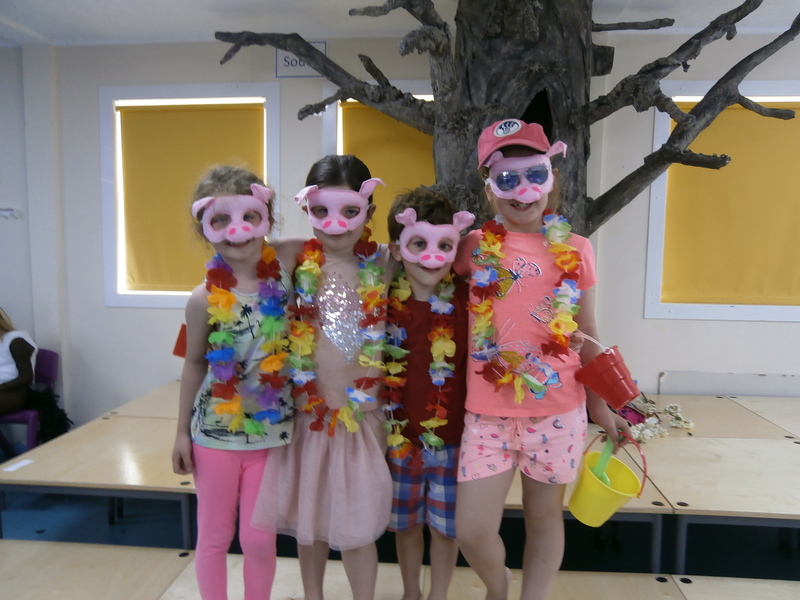 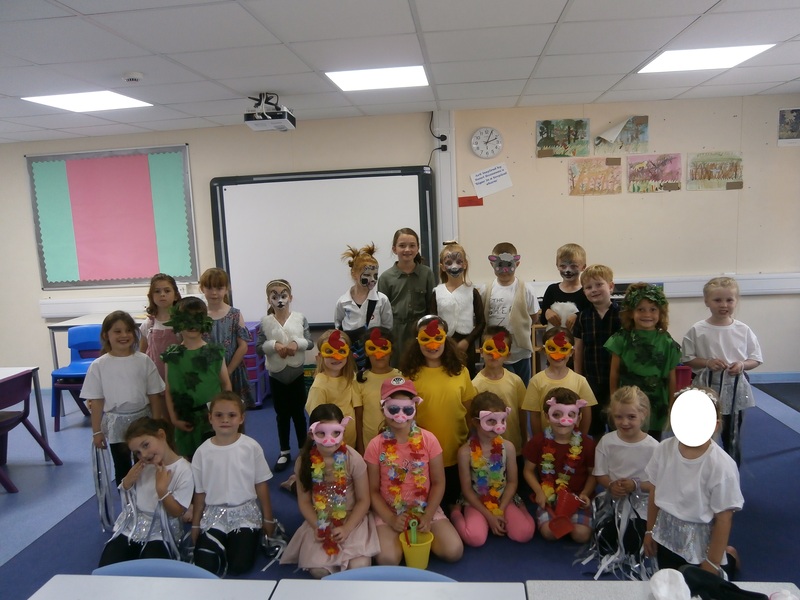 Mrs Quick, Miss Pretty and their team worked with a cast of children from Years 1 to 4, to rehearse and produce an entertaining show. 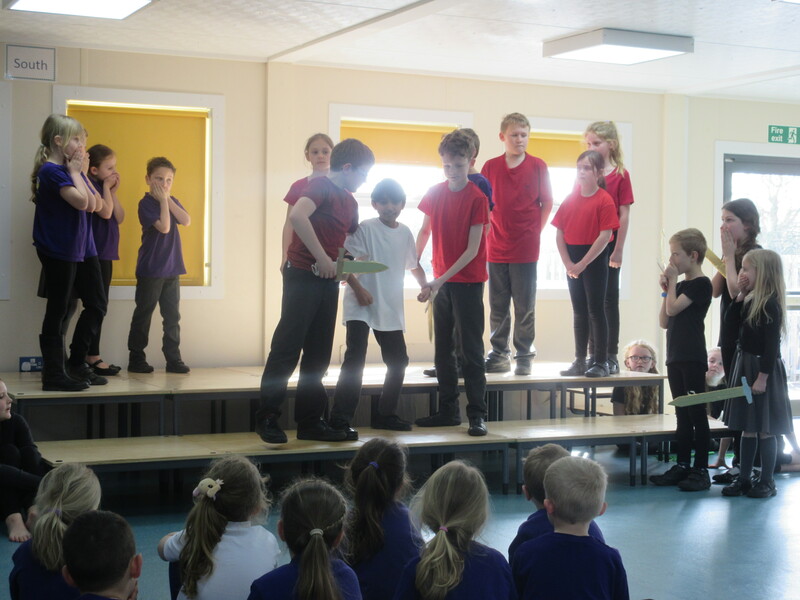 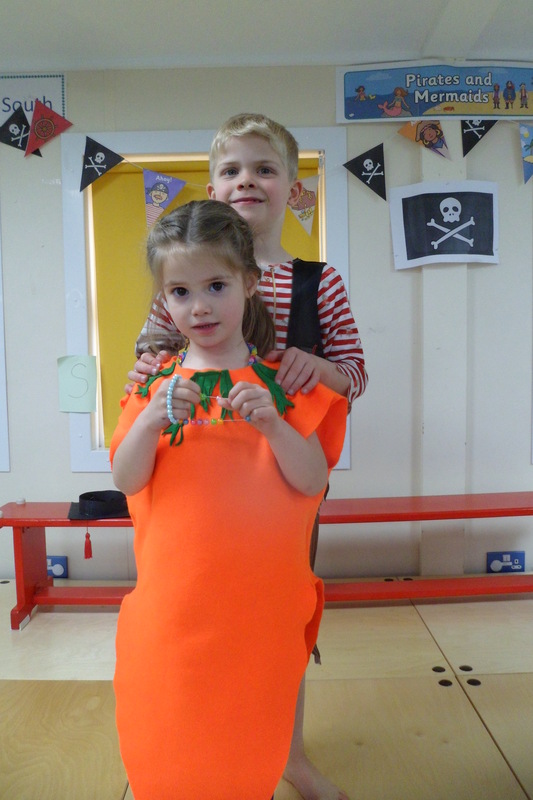 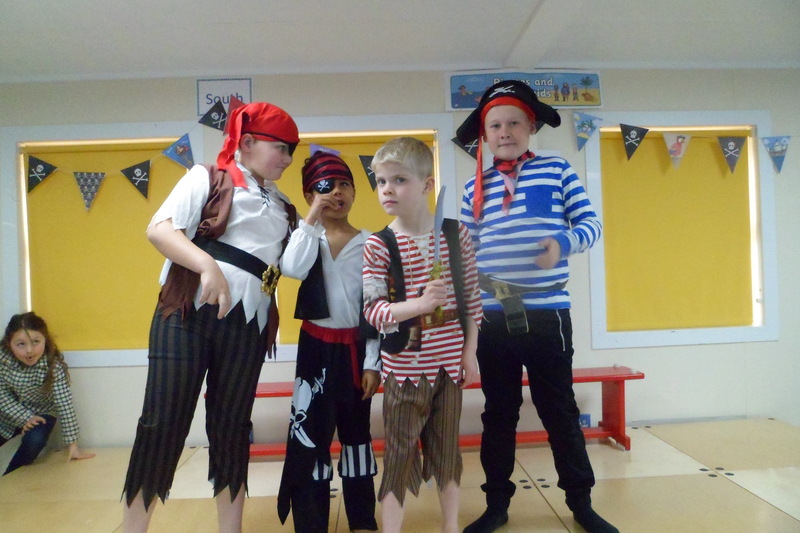 As always it was a great opportunity for the children to experience acting, singing and dancing to an audience. 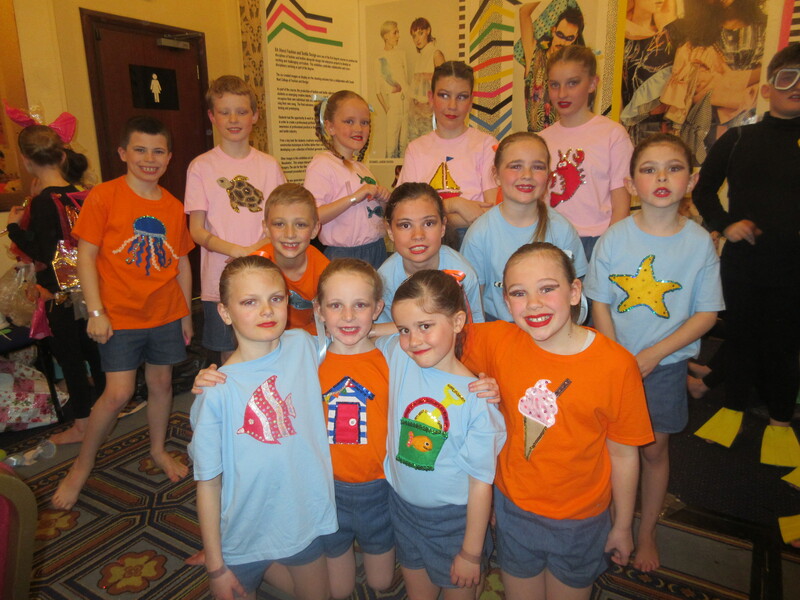 The show was highly successful and well received by the audience. 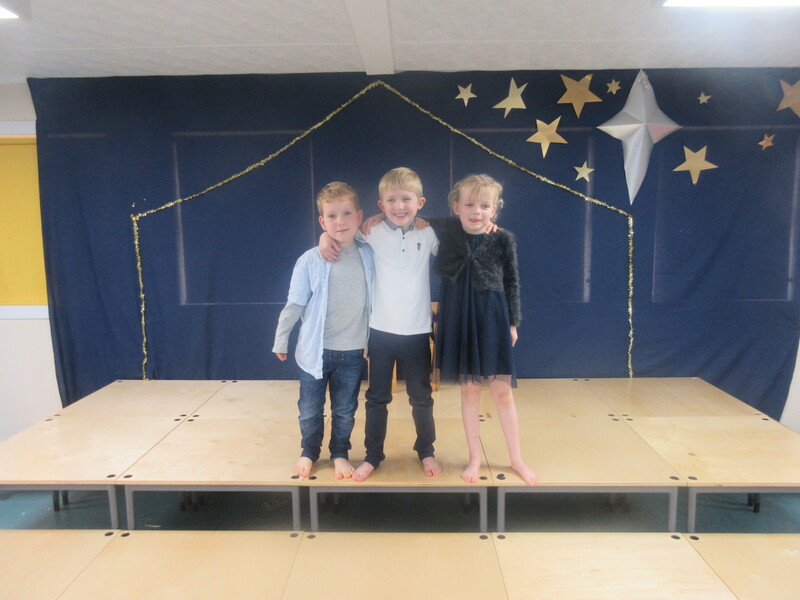 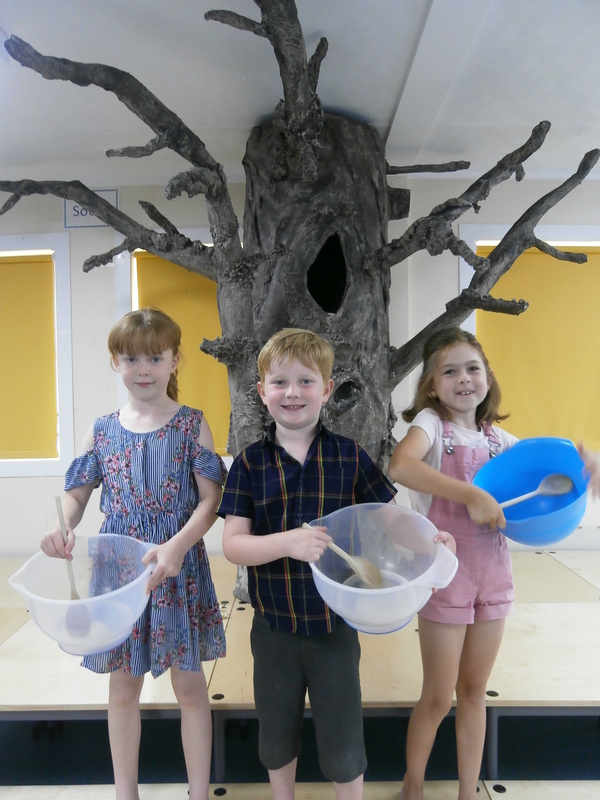 As a school we are very proud of the children.